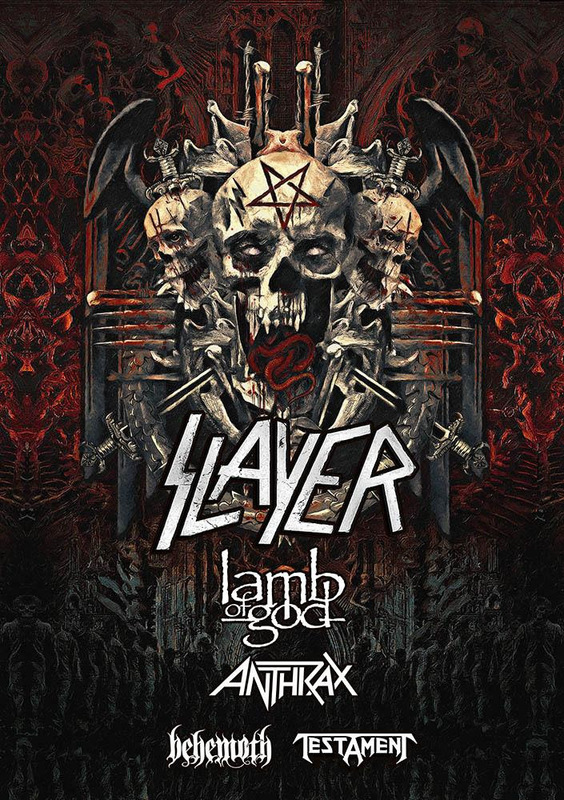 The North American leg of the tour will include LAMB OF GOD, BEHEMOTH, ANTHRAX, and TESTAMENT. Tour dates to be announced in the coming days. Kerry just heard the news about Slayer’s farewell tour! He sprouted horns! ? ?He says not to worry, you’ll always get music from him. Horns behind Kerry are in our friends house @heathervondobler @cvondobler ?? ARMORED SAINT‘s John Bush made his debut into the video game world by laying vocals for several songs for the soundtrack to Platinum Games‘ new video game, Metal Gear Rising: Revengeance. After last week’s successful “The Big 4“ concert in Indio, California, the heavy metal foursome of METALLICA, SLAYER, MEGADETH, and ANTHRAX have announced an East Coast edition of the show at Yankee Stadium in Bronx, New York on September 14th, 2011. Tickets go on sale Friday, May 6th at 10am through Ticketmaster. Pre-sales for MetClub members and Yankee season ticket holders go on sale Wednesday, May 4th. This weekend is The Big 4 festival out in Indio, California with METALLICA, SLAYER, MEGADETH, and ANTHRAX. Check out some interviews in LA Weekly with SLAYER‘s Tom Araya and ANTHRAX‘s Scott Ian. They talk about the original Big 4 show in Bulgaria, the Coachella festival (which took place at the same venue as the upcoming Big 4), and their festival buddies METALLICA and MEGADETH. The collective of heavy metal titans known as “The Big 4” of METALLICA, SLAYER, MEGADETH, and ANTHRAX have been confirmed to share the stage together via Goldenvoice‘s “The Big 4” for North American fans. The four bands shared the stage for the first time together last year in Europe. This event is slated to be the only time the bands will play together in the U.S. The bands will take over Empire Polo Club in Indio, CA (home of Coachella and Stagecoach) on April 23, 2011. Tickets will range between $99 and $199 and go on sale Friday, January 28 at 10 AM.